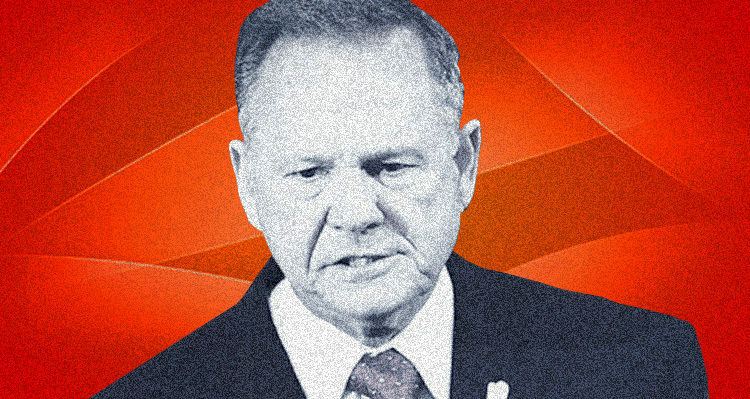 It seems that Roy Moore was fooled by a former white nationalist leader falsely claiming to have a super PAC that helped power Trump’s 2016 victory. [T]he organization now backing the controversial candidate ahead of the Dec. 12 special election was founded just weeks ago by a 24-year-old aspiring political operative who acknowledged to NBC News Tuesday that he’s trying to disassociate himself from white nationalist organizations he appeared to have affiliated with in the past. The situation speaks to the degree to which Moore’s campaign is understaffed and underfunded, seemingly unable to perform a basic check of a previously unknown political entity, IndianaFirst, or its leader, Caleb Shumaker, who has had ties to a fringe party considered a hate group by leading civil rights organizations. The IndianaFirst PAC appears to have been formed during the week of Nov. 9, the same date their website was registered. According to Federal Election Commission requirements, it would need to register within 10 days of raising or spending more than $1,000 and file a separate statement to clarify that they’re an independent expenditure-only group. No such filings existed as of Tuesday afternoon. “I left due to the direction they were going with their ethnocentric views,” he said. Shumaker was briefly mentioned as the former chair of the National Youth Front (NYF) in a 2015 article published by the Southern Poverty Law Center. “Our goal is to take power from those who have weaponized our institutions against us. To put an end to the invasions of our nations. To stop the ongoing defamation of our people. … To eliminate the endless ideological subversion of our nations most precious gift. Its youth,” read NYF’s stated goals.